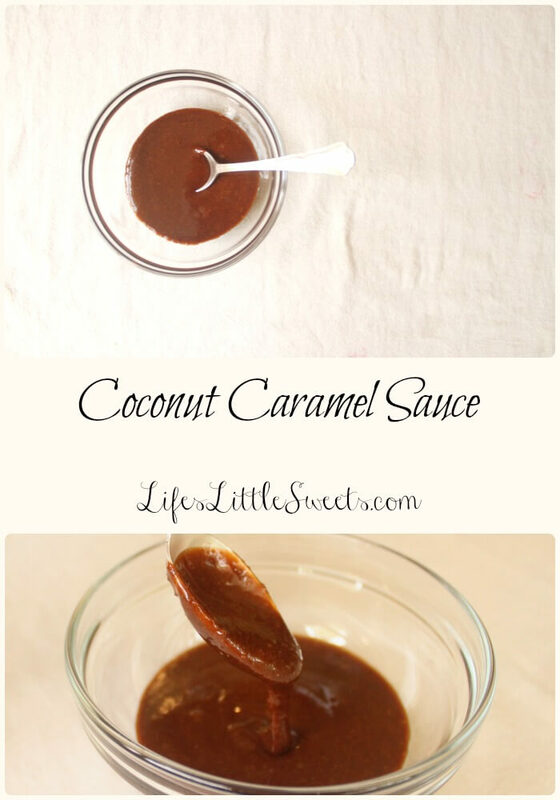 Coconut Caramel Sauce (V+GF+SF): It’s back to basics, yeah, Coconut Caramel Sauce is, now, one of my basics. 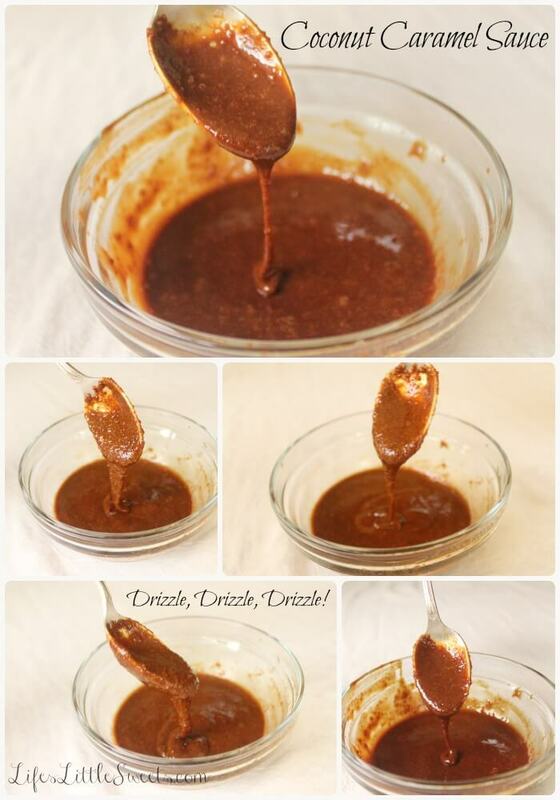 It can be used in any dessert that would compliment a caramel flavor. 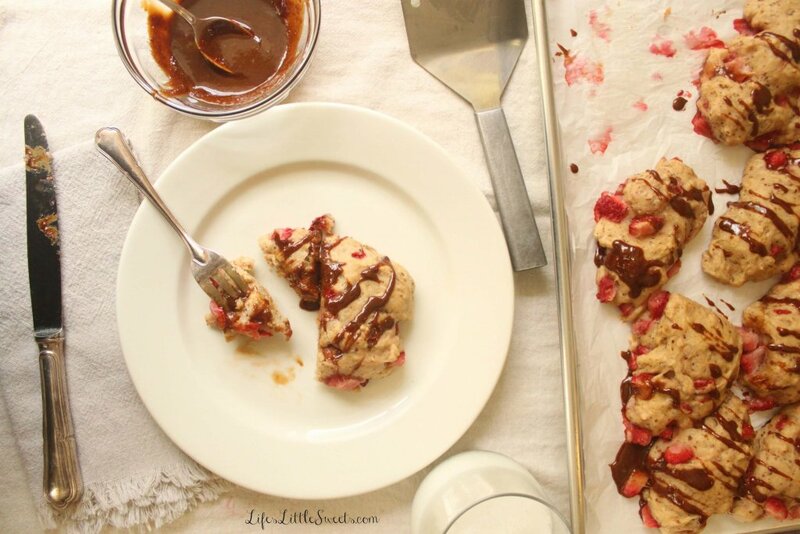 It’s vegan, has only 2-3 ingredients, takes less than 5 minutes to make and is meant to be drizzled, drizzled, drizzled! 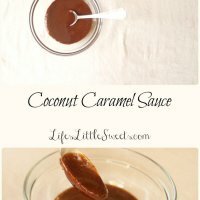 I came up with Coconut Caramel Sauce as an alternative to a traditional sugar glaze that would use confectioner’s sugar – not that there’s anything wrong with sugar around here, I obviously have a major sweet molar but I just wanted to explore alternative sweeteners besides just regular old sugar and apart from garbage artificial sweeteners. I promise, you will never see artificial sweeteners like Splenda, Equal, Sweet ‘n Low on this blog, ever. Disclosure: This post contains some affiliate links which means I earn a commission when you utilize them at no extra cost to you. I only recommend brands and products that I like and enjoy using. Some links are just for educational purposes and sharing pages that I have found helpful. Several months ago, I was strolling down the baking isle of my local grocery store, when I spotted a sugar alternative called Madhava Coconut Sugar next to the other types of sugar and sweeteners. I was curious because it looked similar brown sugar in terms of color and consistency which was coincidentally what I was shopping for. The Non-GMO Project and organic labels caught my eye and on the back of the package said that it could be used in a 1:1 ratio as a substitute for sugar – I was sold, I had to try it. I am so glad I did because it started a bunch of experimenting using it in various recipes over the past months. To make this recipe for Coconut Caramel Sauce you need a liquid to make the sugar, well, saucy. In keeping with the coconut theme, I used So Delicious Unsweetened Coconut Milk. This brand is Certified Vegan, Non-GMO Project verified, Certified Gluten-Free and USDA Organic. For the optional vanilla extract, I would use Simply Organic Madagascar Pure Vanilla Extract; it’s label says it’s USDA Organic, gluten-free and no sugar added. I have used several vanilla extracts and this one is one of my favorites. Are you wondering what it really tastes like? I wondered the same thing when I first saw it months ago in the grocery store. 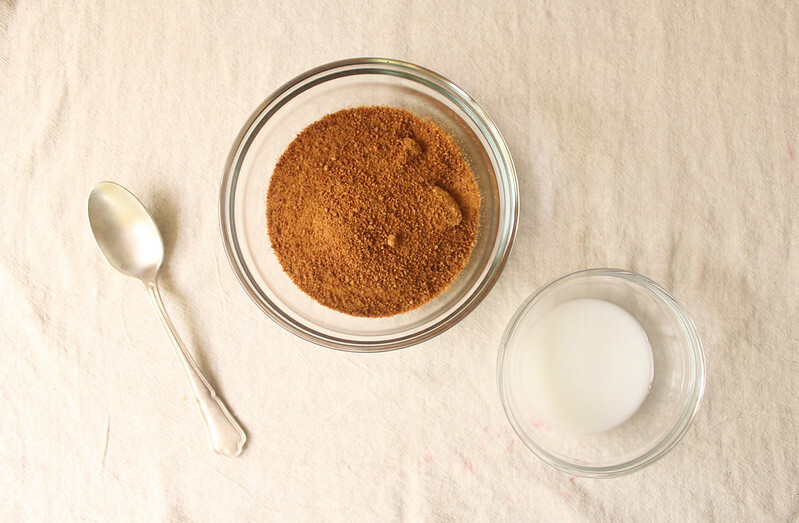 The coconut sugar innately has a naturally RICH, caramel flavor to it. A little burnt sugar flavor (which is what caramel is), comes through but isn’t overwhelming. It’s really sweet like sugar but it doesn’t give me a headache, kind-of-sweet. This coconut caramel sauce reminds me of eating the bottom of a crème caramel or flan. Fun fact, it is derived from coconut tree blossoms. 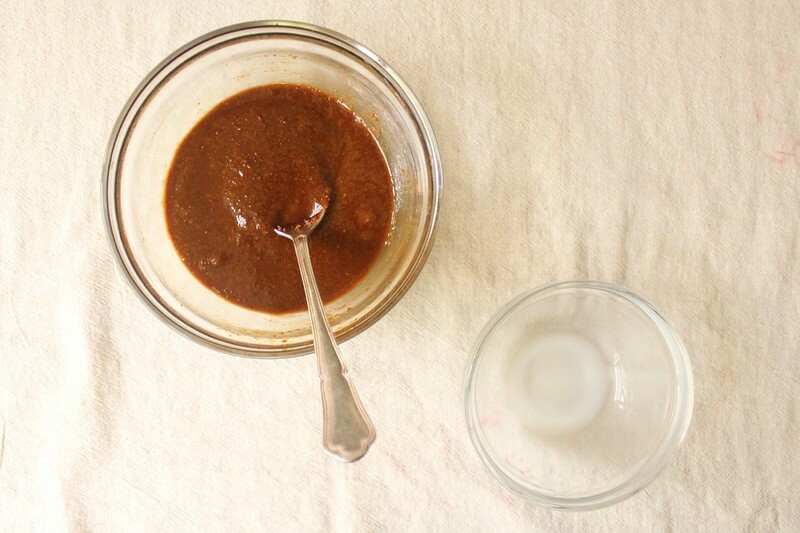 This coconut caramel sauce is perfect for drizzling over quick breads, cakes, muffins, scones, pancakes, waffles or ice cream. Measure out 1 tablespoon coconut milk, pour into bowl of coconut sugar, add optional 1/4 teaspoon vanilla extract and mix until well combined and smooth. Put into bowl into microwave for 10 seconds, stir well, then put mixture in microwave for 10 more seconds and stir again. If you want the sauce to be thinner for better drizzling add more coconut milk half a tablesoonful at a time. Use right away and/or store in refrigerator for a few days. Microwave for 10 seconds, stir, then 10 seconds more and…Voilà! Since I started this blog in Mid-March 2015, I have been posting about once a week, sometimes more. I have a TON of recipes that I want to share. I also plan on regularly including some more basic, how-to, recipes to go with the recipes I am sharing. An example of this would be Vanilla Whipped Cream. If you are interested in getting blog updates to your e-mail inbox, subscribe below! 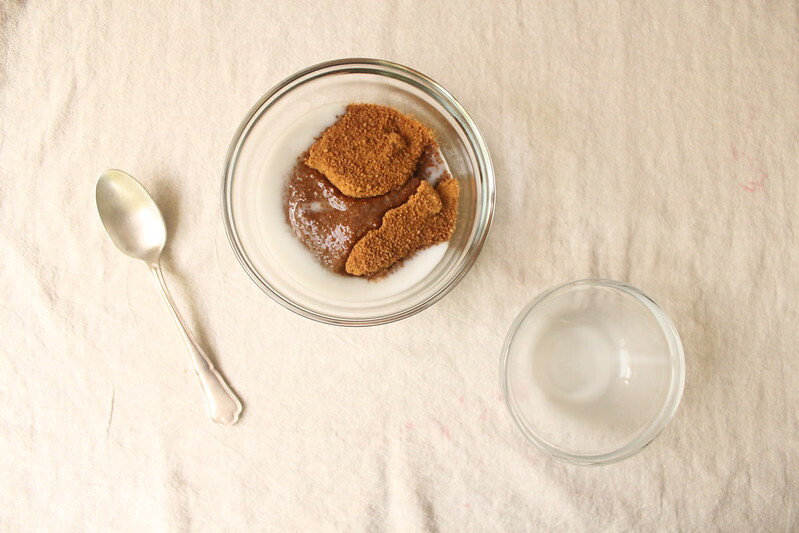 Have you ever tried cooking/baking with coconut sugar? Please let me know in the comments below! Hi Lucy, that is a great idea, I can’t believe that I haven’t tried it!